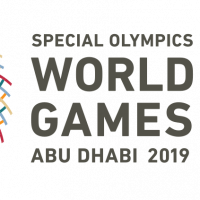 The countdown begins this Friday, February 8, when Special Olympics Amerika Samoa (SOAS) will have 4 weeks left before departure to the Special Olympics World Games in Abu Dhabi. This Friday, the SOAS is hosting a Gratitude Dinner at JADE for its major sponsors, sports federations, coaches, parents and the Department of Education. The dinner will showcase Team Amerika Samoa’s official travel gear, opening and Olympic Village uniform and Competition uniform. Team Amerika Samoa has been practicing for over a year at the Veterans Memorial Stadium in Track and Field and 7-a-side Soccer. This will be SOAS’s first time taking an all-female soccer team. Team Amerika Samoa will depart on March 8 to Abu Dhabi via Hong Kong and will return on March 25. Team Amerika Samoa will be escorted by Assistant Head of Delegation Leone Ripley-Ulu. The Team is still accepting donations and thanks everyone for their support.